The Burn Community Cruise is the first of its kind in burn recovery programs. 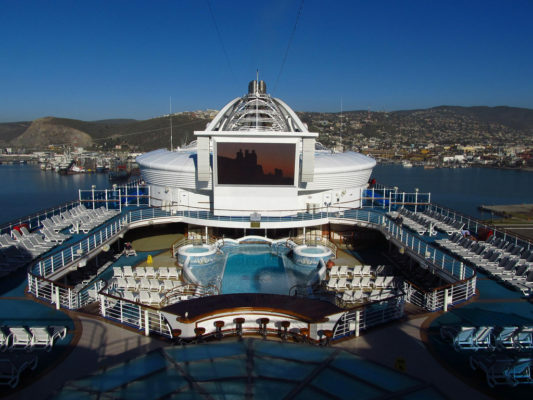 The cruise serves as a great mini-vacation for attendees and an outlet for support and healing. For some survivors, this cruise is the first step for them to venture out of their safety zone since leaving the hospital. Recovery sessions led by burn survivors and medical professionals offer a wonderful opportunity for growth while meeting others who have gone through similar experiences to build a network of support. Program facilitators are licensed and trained professionals whose mission is to help burn survivors go “beyond surviving” their burn injuries. 30 cabins have been reserved for burn survivors, firefighters, burn care professionals & friends of the Firefighters Burn Institute! *Prices are per person / double occupancy. The price includes all meals and on-board entertainment. Prices do not include gratuities or alcoholic beverages. Pricing may vary on cabin location and does not include taxes or port fees which are estimated at $75/person. Scholarships are available to burn survivors and awarded on an individual basis. Scholarship deadline: November 1, 2017. Please contact our office to apply!